Kitchen Cabinets Orlando | Get the 0% financing for 12 months! While shopping for new kitchen cabinets in Orlando, it is important to know the different types of cabinets. Cabinets are usually divided into four categories. It is based on construction quality. Your choice depends personal preferences, style, taste, and on the budget. Custom cabinets are completely made-to-order. They can be made of different materials, come in different styles, finishes, designs. There are many options when it comes to accessories. They are tailored and designed for very specific spaces. You get exactly what you want, as size, depth, shapes and finishes can be picked and tailors for any taste. These are cabinets are narrow in styles, size, and material and they are also ready to assemble. You can DIY these cabinets but make sure you are good in constructing and installing cabinetry. They come broken down into different parts as they have basic instructions on how to put together. These are basic and economic cabinets, and they are sold pre-sized from the manufacturer. They come in fixed sizes which are most common, hence cannot be altered, so they are not good for existing spaces. The materials range from particle boards covered with plastic laminates or melamine to solid wood and have a limited variety of accessories. Stock cabinets are attractive, have an affordable style and don’t sacrifice on quality. However, they come in a limited variety of door colors, finishes and styles. These cabinets come in specific sizes, but they can be adjusted to fit different styles and depths and have a better quality than RTA and stock cabinets. They come in an extensive selection of finishes, styles, material, and decorative enhancement and storage solutions, hence giving you the chance to create a personalized look. The available features on semi-custom cabinets include door racks, roll out shelves and organization inserts, cabinet legs and feet and crown molding. If you have a limited budget or want to save some money, get the ready to assemble or the stock cabinets because they are lower priced than the semi customized and customized cabinets. Learn more about kitchen cabinets. Semi-custom cabinets are best if you have a small kitchen and you don’t want to waste space on fillers. 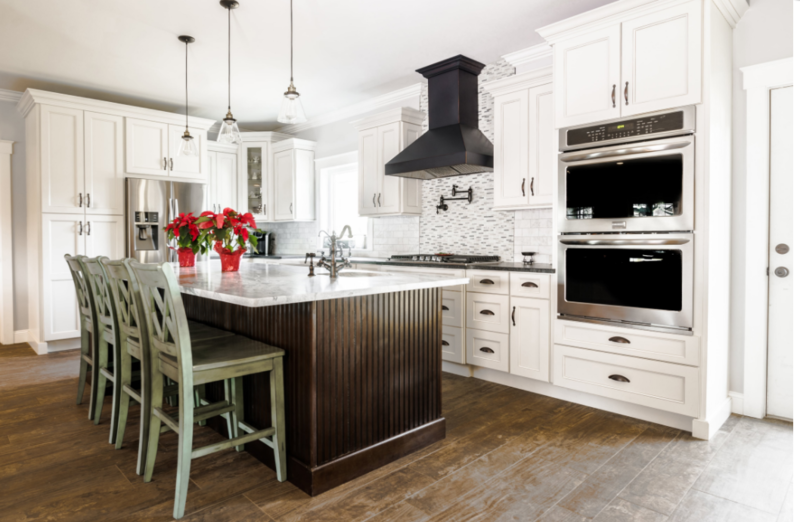 If you don’t mind splurging on cabinets and you also need to match your furniture and other applies in the kitchen, and then go for the custom cabinets.